Idi Probak are one of the traditional Basque games based on the farm and seaside works. 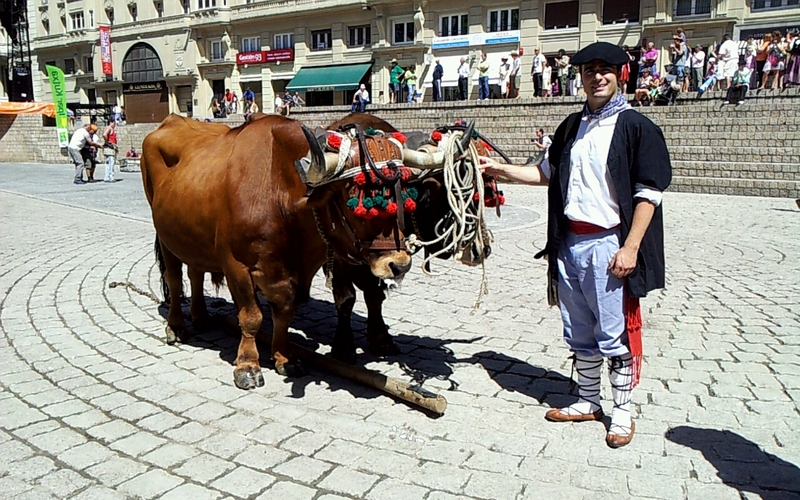 It involves oxen, sometimes a single but usually a pair, dragging a rock from one side of a square to another. In Spanish this sport is called arrastre de piedra (stone dragging) or prueba de bueyes (oxherd test) and concours de bœf (oxen competition) in French. The rocks are rectangular, slightly narrower at the front end with a hole for attaching the chain that conects it with the oxes. The weight of the rock varies from town to town and may be between 1500-4000 kg or higher. The goal of the competition is to complete as many plaza (the distance between the two ends of the proba toki) as possible within a given space of time.